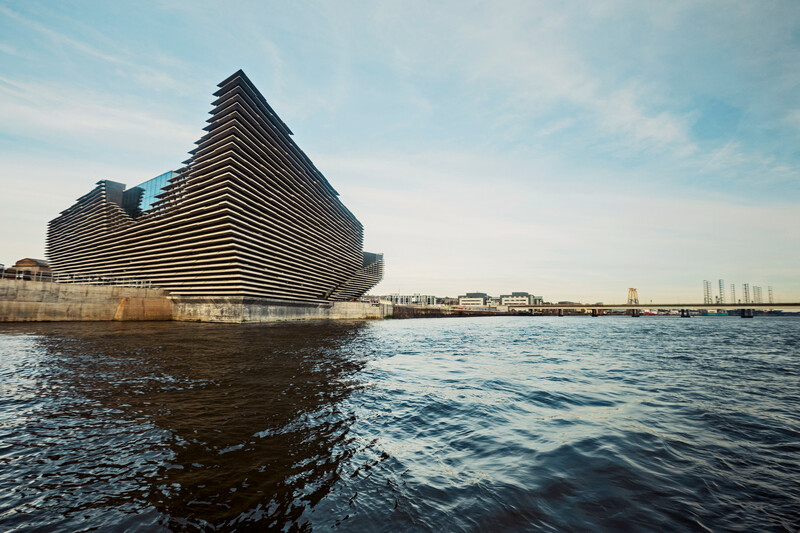 More details have emerged on the V&A Dundee, which is positioning itself as an international design centre as well as a place to learn about Scotland’s design history. While the primary focus is to tell the story of Scotland’s design history, V&A Dundee will have an international outlook investigating the global importance of design while bringing the work of overseas museums to Scotland. Commissions are coming together ahead of the 15 September opening and the most noteworthy of these is by fine artist Ciara Phillips whose practice is to do with the methods of making. “She is investigating the processes that underpin objects in the museum and making a piece that incorporates wallpaper and ceramic glazing techniques,” says V&A Dundee director of programme, Sophie McKinlay. The piece will hang on the upper floor of the museum. A separate piece by graphic designer Maeve Redmond has also been commissioned and the details are being planned now, according to McKinlay. She says programme activity will take place across multiple platforms. As well as the major permanent exhibition spaces and Michelin Design Gallery (where contemporary work will be displayed), McKinlay has promised programming that includes further commissions, Friday Lates, takeovers, talks, events, offsite projects and research projects. She has also revealed that visitors to the museum will not need a guide of any sort. “You don’t need a plan or a guide as the building unpacks things for you”, she says. The key permanent displays are the Scottish Design Galleries, which comprise The Story of Scottish Design, Design and Society, and Design and the Imagination, as well as the Charles Rennie Mackintosh Oak Room. This room is a salvaged reconstruction of the original Mackintosh paneling from Miss Cranston’s Ingram Street tearoom, which was built in 1908. The restoration and installation was made possible from a partnership between Glasgow Museums and Dundee City Council. Many of the broad details of the galleries have already been revealed but the museum now has a better idea of the objects and exhibits which will help tell the stories of Scottish Design. This narrative spans the whole gamut of design and includes Hunter Wellington boots, constructed from 28 pieces of 100% rubber, making the boots entirely waterproof. Originally the North British Rubber Company, the business was founded in Edinburgh in 1856 and provided boots for over one million soldiers in the First World War, helping to reduce the number of cases of trench foot. Visitors can try out Beckett, a new video game by Glasgow-based studio The Secret Experiment. It’s a noir, adventure game taking inspiration from literature, film and theatre and one of its creators Simon Meek will be taking up a residency at the museum. Another exhibit explores Maggie’s Cancer Caring Centre in Dundee, which in 2003 was the first UK building designed by architect Frank Gehry. The centre was designed to be domestic in scale and references traditional Scottish architecture. A white harled exterior reflects traditional Scottish building techniques and its tower recalls drystone, conical Iron Age brochs. Why include a London show? While international exhibitions are expected in the main temporary space, it will initially be given over to V&A London’s Show Ocean Liners: Speed and Style, which as well as showing the golden age of ocean travel, also looks closely at the design and cultural impact of the ocean liner, which is as much about fashion, graphic design, posters and film as it is about heavy engineering. Philip Long says that it will hit its budget of £80.1 million and confirmed that this includes all capital costs, fess, contingencies and fitout. However, this is a revised budget as it emerged in 2015 that the project would cost £31 million more than expected. While Tristram Hunt says that all levels of Government &- local council, Scottish and UK have been &- “supportive and progressive”, the project has experienced hiccups, not least the Dundee City Council review, which looked into the £31m budget overshoot in 2015. However this did result in efficiency recommendations, which helped deliver the final part of the project within a revised budget. The V&A estimates that some 500,000 visitors are expected in the first year and 350,000 in subsequent years. Working to the slightly more conservative estimate of 270,000 annual visitors from year three, Dundee City Council estimates that the project could boost the local Dundee economy by £11.6 million per year. 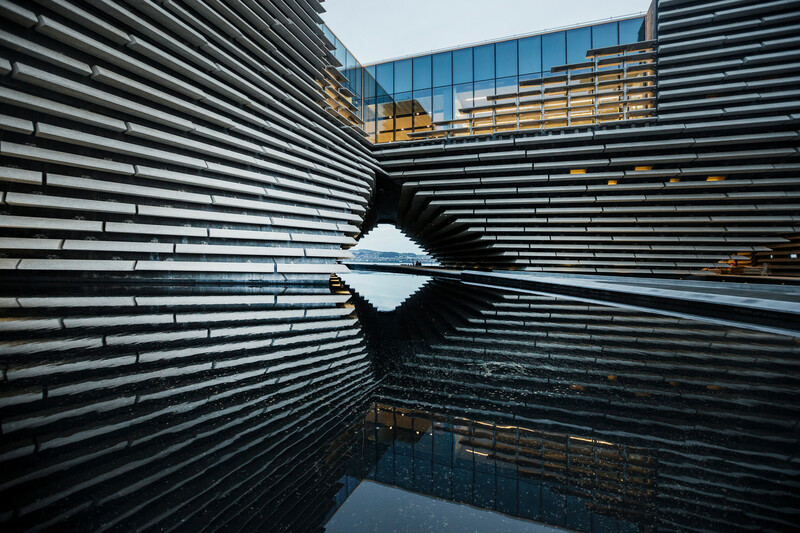 The post V&A Dundee: latest commissions and exhibit details revealed appeared first on Design Week.